Shared ownership, also known as ‘part-buy, part-rent’, is a Government-backed scheme specifically designed for buyers who don’t have the means to buy a property outright. The scheme enables eligible buyers to get on the housing ladder with a reduced deposit by letting them buy a share of a new property, usually between 25% and 75% of the total value. Shared ownership means buyers pay a low, subsidised rent on the remaining share they don’t own which makes mortgage repayments significantly lower than those for a 100% property purchase. Follow our guide to Shared Ownership, to find out everything you need to know about owning your first home! Shared ownership is available to first time buyers or buyers who don’t own another property. You don’t have to be a key worker or living in social housing to be eligible, and having a well-paid job won’t necessarily rule you out. 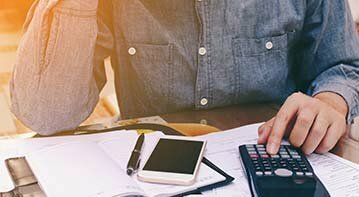 If your annual household income is between £20,000 and £90,000, chances are you might be eligible. You can buy through shared ownership on your own or with a partner or friend as long as your joint income doesn’t exceed the maximum earnings bracket. Income. Outside London we’ll consider applications from households with an annual income of up to £80,000. Inside London this increases to £90,000. The minimum income is usually around £20,000, but if you have a larger deposit you may be eligible with a lower household income. Location. Priority is usually given to applicants who live or work within the area they want to buy. This criteria is usually set individually for each development. Position. The property you are buying through shared ownership must be the only property you have ownership of or in, and you must be buying as a part owner occupier. If you already own a property, a sale must have been agreed before you can qualify for shared ownership. Don’t worry if you don’t meet the criteria above, there will be other options available to you. Property Booking will be only too glad to advise on these. You can also contact your local Help to Buy agent who will assess your housing needs and your next steps. Outside London we’ll consider applications from households with an annual income of up to £80,000. Inside London this increases to £90,000. The minimum income is usually around £20,000, but if you have a larger deposit you may be eligible with a lower household income. Priority is usually given to applicants who live or work within the area they want to buy. This criteria is usually set individually for each development. The property you are buying through shared ownership must be the only property you have ownership of or in, and you must be buying as a part owner occupier. If you already own a property, a sale must have been agreed before you can qualify for shared ownership. Buying through shared ownership doesn’t mean compromising on the location or quality of your new home. We have a huge choice of beautifully designed and fitted properties available, including high quality apartments, houses, maisonettes and town houses. From fabulous family houses in desirable towns such as Horsham in Sussex, to stunning contemporary apartments in a range of central London post codes, there truly is something for everyone. So, why buy through shared ownership? When buying a shared ownership property, a portion of of the property is owned, whilst reduced rent is then paid to the housing association who own the remaining percentage of the property. As time goes by, it is possible to buy more of the property as and when you can afford to - this is a process known as staircasing. Most homes available for shared ownership tend to be new builds, however in some cases housing associations are re-selling older properties. All shared ownership homes are leasehold. Usually this means the buyer owns the lease for a fixed amount of time, which is usually ninety-nine years. There is typically a service charge to be paid monthly on the property. 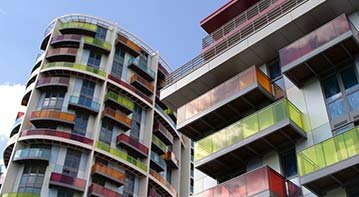 Shared Ownership Eligibility - who can apply for shared ownership? There are certain criteria that need to be matched in order to be eligible for shared ownership. In line with government priorities, top priority for shared ownership homes is awarded to serving military personnel and former members of the British Armed Forces discharged in the last two years. In some cases, priority will be given to those who live and/or work within a certain radius of the property. If you're aged 55 or over, you can get help from another home ownership scheme entitled 'Older People’s Shared Ownership'. How does Shared Ownership help first-time buyers? Shared ownership is ideal not only for first time buyers, but for families on modest incomes, those who used to own a home but cannot currently afford to buy outright. The scheme makes buying a house more achievable and affordable by significantly reducing the amount of money needed to a buy a house at full value on the open market. Initial deposits are typically significantly lower, as is the amount of monthly rent. What are the costs involved in buying through shared ownership? Deposit - Perhaps the single largest upfront payment, buyers will typically need 10% of the entire value of their share in the property. For example, if you are buying 25% of a property with an open market value of £150,000 you will typically need to pay 10% x 25% x £150,000 which would equate to £3750. Shared Ownership deposits are usually much less than you would expect to pay through Help to Buy schemes (e.g. a deposit equaling 5% of the full market value). In some cases shared ownership properties are available with 5% deposit. Legal Costs - Through the legal process, otherwise known as 'conveyancing', expertise can be sought out from specialist firms or from solicitors, though solicitors are often found to be slightly more expensive. Stamp Duty - You have the option of paying stamp duty on the full market value of the property or it is possibly to pay stamp duty only on your initial share, the on the rent you will pay per year. Surveys - It is always wise to have a survey carried out on any property purchase. You may wish to consider a snagging survey if the property is a new build. These surveys may typically cost between £300 and £600. Other costs may include: removals, upfront rent, monthly service charges and utility sign up fees. Does stamp duty apply to Shared Ownership? There are two possible options when it comes to paying stamp duty on a shared ownership home, see the Stand Duty Land Tax Guide. 1. You have the option of paying stamp duty on the full market value of the property. 2. You may decide to pay stamp duty only on your initial share, the on the rent you will pay per year. The two schemes are quite different. With shared equity schemes, the buyer does not pay rent, and no portion of the property is owned by a housing association or other organisation. As the buyer is helped by an equity loan, 100% of the property is owned from the beginning. Often, the equity loan is interest free for a significant period of time, however it will need to be paid back once the property is sold. Help to Buy is a collection of government schemes aimed to assist buyers getting onto the property ladder in an affordable manner. Along with the Help to Buy: ISA, Help to Buy: Shared Ownership and Help to Buy: Equity Loan are both available as part of the collection of Help to Buy initiatives. Seperate from Shared Ownership and the Equity Loan, the Help to Buy ISA pays first time buyers a government bonus e.g. save £200 a month and the government will add £50. Through this scheme it is possible to get up to an additional £3000 - meaning you can boost your savings from £12000 to £15000. When buying a shared ownership home, a smaller deposit required. There is also the option to pay less stamp duty initially. Where can you get a Shared Ownership mortgage? 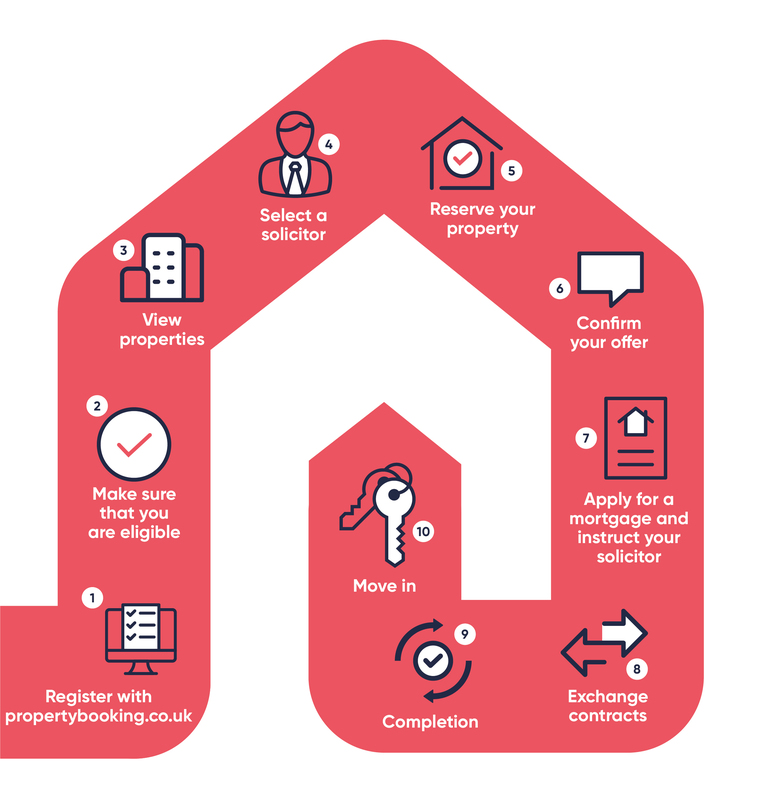 From building societies to high street names, there are currently around twenty mortgage lenders offering shared ownership mortgages. If you reside in an area with a local building society it may be beneficial to speak to these alongside the larger banks and mortgage providers, as these local lenders often lend to those buying in the area. Some lenders offer products and packages specifically tailored for Shared Ownership borrowers, however some will also let you choose from their full range of mortgage options. Will you ever fully own the property? Yes, when you buy a shared ownership property, it is possible to fully own the property by buying more shares over time. This process is known as staircasing. Simply put, staircasing the process of increasing the percentage of the shared ownership property you own. Once a larger proportion is owned, monthly rent will be further reduced. Should the value of the property have increased by the time you come to sell your home, you will benefit from a larger profit depending on how much of the property is owned. How does staircasing through Shared Ownership work? Once you have decided you would like to increase your share in the property, this process is usually started by contacting the relevant housing association. 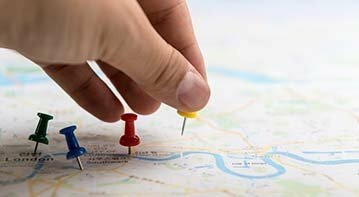 In order to raise the funds to invest in a larger percentage of your home, there are two possible routes to take. These involve speaking with a mortgage broker or lender. You may wish you remortgage in order to borrow the additional money required to staircase. Moving your mortgage to an alternative lender may make it possible to apply for a larger loan. The mortgage is then repaid to the existing lender, leaving enough cash to buy a larger percentage of your property. An alternative option is receiving an advance from your current mortgage lender. Firstly, the home has been valued to check there is enough equity, before other checks are carried out. The mortgage lender may carry out an affordability assessment and within this process may request to see proof of your earnings. This is to ensure that you are able to keep up repayments. Should you wish to remortgage, many lenders have good fixed rate or variable rate deals. Many lenders have very good fixed- and variable-rate deals. What are the costs involved in staircasing? When staircasing, the buyer is expected to cover the cost of surveys and conveyancing as is standard with property purchases. There may also be additional mortgage fees and legal costs. The valuation will be valid for 3 months, in which time the process of staircasing must be complete. If this deadline is missed, the valuation will have to be carried out again. Can I sell my Shared Ownership home? Yes, It is possible to sell your shared ownership home at any time. However it is important to note, the housing association has the first rights to find a buyer for the property if they are the majority shareholder. Often this is between six and weeks, though will vary according to your lease. After this period of time, you are free to market the property yourself. It is possible to increase homeownership by buying more shares from the housing association as and when you can afford to. Monthly rent is usually below the market rate. The key benefit is that shared ownership provides access to home ownership for people that may not otherwise be able to get a foot on the property ladder. It is not possible to lose the property through someone making a higher offer. You are free to decorate your home whichever way you please. It is better to own a percentage of a property than none at all - you will never benefit from money spent towards renting a property. Normally it is not necessary to pay stamp duty land tax on the initial purchase. As opposed to private renting, you have security of tenure, as long as the rent is paid. Any increase in the rent you pay on the portion of the property you do not own are set out in the lease and are based on inflation, not property prices. This often means that the rent increase is considerably less than it would be with private renting, and where property prices increase regularly, the Shared Ownership rent can be very very low in comparison. You won't own your home outright. The buying process may seem a little more complicated than buying on the open market. You may be restricted to properties in specific areas. Valuation fees can occur when buying additional shares. When selling your share the housing association has the right to market the property for up to the first eight weeks. Although plenty do, not all lenders offer mortgages for Shared Ownership. Stamp duty is paid on the whole value when your share equals or is in excess of 80%. 100% of the ground rent and service charge must be paid on the property, regardless of share percentage. Shared Ownership has similar difficulties and stumbling blocks to normal home ownership. In times of financial hardship or in the face of declining property values, you are still obligated to pay mortgage, rent, ground rent and service charge. Does bedroom tax apply to Shared Ownership? No, buyers of shared ownership homes are exempt from 'bedroom tax'. I am already a homeowner - am I eligible for shared ownership? Unfortunately, you will not be eligible to buy a Shared Ownership home if you are already a homeowner. Before contracts are exchanged on a Shared Ownership property, existing home owners need to ensure either their name is taken off the mortgage or that their property has been sold. If your home is currently up for sale and you are thinking about buying a share ownership home next, you will need to provide evidence that the property you currently have for sale is not suitable. This is usually achieved through written support from the Council. Is Shared Ownership available for older people? Yes. If you are over 55 years older, you may be eligible for the Older Persons’ Shared Ownership Scheme. This scheme operates in a similar manner to the normal shared ownership process, however with you are only able to buy up to 75% of your home. However, once you own 75%, you won’t have to pay rent on the remaining share. These properties also feature additional benefits, such as communal areas, round-the-clock assistance or help with grocery shopping.